Montgomery Township is pleased to announce the start of Round III of its Community Energy Aggregation Program, first launched in 2013. Through this program, the Township is able to use bulk purchasing power to obtain competitive proposals from third-party energy suppliers to supply Montgomery residents at a lower price than that offered by Public Service Electric & Gas (PSEG) for its comparable Basic Generation Service. The Township solicited proposals and selected an electrical energy supplier for all aggregated residential accounts for a 15 month period of non-variable rates, starting with the June 2019 billing cycle. The selected supplier is Constellation New Energy (CNE) of Baltimore, MD. It is estimated that the typical participant will save about $100 during the contract term. The following letter from the Township and its attached program summary and FAQs gives more details on this very popular program. The Township’s notification letter has been mailed to all residences which are currently with PSE&G in early April 2019. The initial 30 opt-out period ends on May 8, 2019. There is also a 10 day period to opt-out after that, counted from when PSE&G sends a second notice to your address in May. Beyond that, accounts can always opt-out during the program, without penalty, with one month’s notice. Montgomery Township conducted a public bid and selected an electrical energy provider for all aggregated residential accounts for an 18 month period of locked rates, starting with the June, 2016 billing cycle. The selected contractor is TriEagle Energy of Woodlands, Texas. It is estimated that the typical participant will save $300 during the contract term. The following letter from Mayor Graham and its attached program summary and the FAQs below explains more details on this very popular program. The Mayor’s letter was mailed to all residences currently with PSE&G in early April, 2016. There was a public meeting for those with questions held on April 14, 2016. The slide presentation from that meeting is found below. The 30 opt-out period ended on May 4, 2016. However, there is a 10 day period to opt-out after that, counted from when PSE&G sends a second notice to your address in May. Beyond that, accounts can always opt-out during the program with one month’s notice (needed for administration of the change back). Program Information Package: Letter from Mayor Notifying Residents of 30 Day Opt-Out Period, Program Summary, and Short FAQs – Delivered early April, 2016, 3 pgs. Community Energy Aggregation is a program that allows a municipality to conduct a “bulk purchase” of energy supply on behalf of its residents and businesses, at prices lower than the average utility price, with the possibility of added benefits, such as higher renewable energy content and other programs. New Jersey regulations allow municipalities to take this approach to procure savings on their constituents’ behalf. Montgomery Township officials made the decision to pursue this program in late 2012. 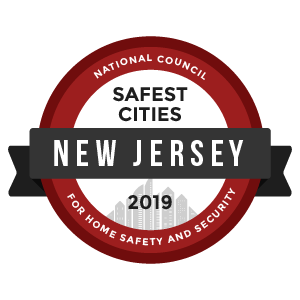 Many other New Jersey municipalities are also taking such steps. There is a very simply opt-out process for those residents who are not interested in joining the program for any reason. Residents will receive two notices by mail with instructions. In addition, it is always possible at any time to opt-out after the switch has occurred, with 30 days notice. See above 9/12/13 Press Release and FAQs for more detail. Montgomery Township has hired a consultant to implement a competitive bidding process for a Third Party Supplier to provide power supply to its residents.The consultant has agreed to work on a contingency basis and their fees are paid by the awarded bidder. Montgomery Township is working on its energy aggregation program with Gabel Associates, one of the preeminent energy procurement firms in NJ, and ‘Cooling America thru Local Leadership’ or CALL, a not for profit organization. These two organizations successfully handled the implementation of the first New Jersey CEA program in Plumsted Township last year. See above links to Background Info from CALL & Star Ledger article). If you have questions, please refer to the Frequently Asked Questions link above on this page. If you have further questions, please contact Gabel Associates at: 1‐855‐365‐0770. Thank you!